Crowdfunding platforms worldwide raised $16.2 billion in 2014—a 167 percent increase over 2013. That’s according to data collected from 1,250 crowdfunding platforms by the consultancy massolution, which predicts that worldwide crowdfunding volumes will more than double again in 2015, to reach $34.4 billion. Massolution CEO Carl Esposti said in a statement that the popular fundraising method is “impacting government policy, informing enterprise innovation, and changing the role of financial institutions around the world.” Massolution’s 2015 Crowdfunding Industry Report found that North America continued to lead crowdfunding activity in 2014, but that Asia topped Europe to become the second crowdfunding hub by funding volume. In North America, crowdfunding volumes grew 145 percent to $9.46 billion, while Asia funding volumes grew 320 percent to $3.4 billion, and European funding volumes grew 141 percent to $3.26 billion. 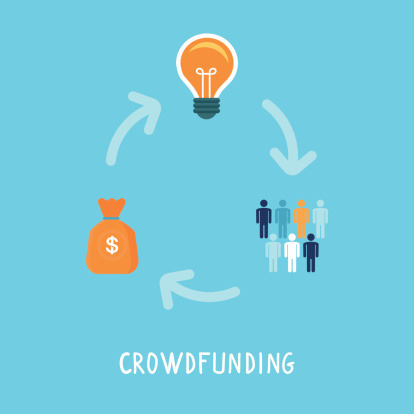 Crowdfunding activity also increased more than 100 percent in South America and Africa. Growth in funding volumes was driven primarily by lending-based crowdfunding, which accounted for more than $11 billion, massolution reported. But significant annual growth in equity-based crowdfunding—up 182 percent to $1.1 billion—and adoption of newer hybrid and royalty-based models—up 290 percent to $487 million and 336 percent to $273 million, respectively—indicates that the allocation of funding volume across different models will be more highly distributed in coming years, the company stated. Massolution also reported greater activity in crowdfunding for business. While the fundraising method still prevails as a way to bankroll creative, philanthropic, and social endeavors, business and entrepreneurship accounted for over 40 percent of worldwide funding volume—$6.7 billion—in 2014. Social Causes raised $3.06 billion, Films & Performing Arts raised $1.97 billion, Real Estate raised $1.01 billion, and Music and Recording Arts raised $736 million, according to massolution’s research.